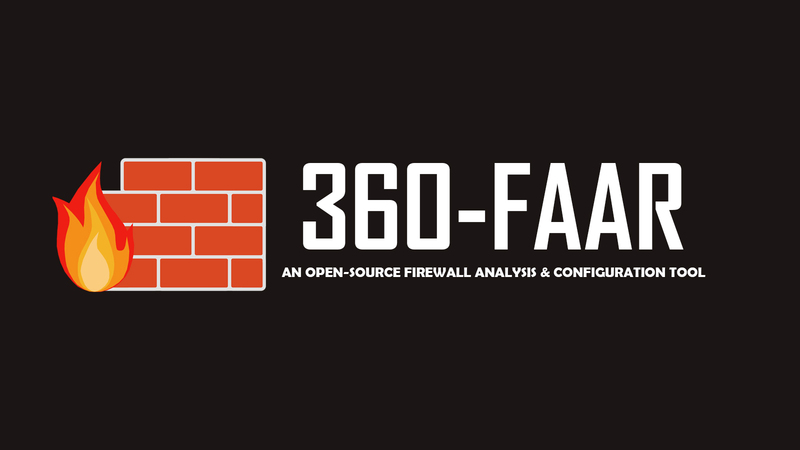 360-FAAR is an open source firewall analysis, policy rebuild, and configuration tool. It is intended to provide a toolkit for firewall engineers and analysts to use to plan, analyze and implement complex network changes in enterprise brownfield environments and to provide the visibility to be confident in the integrity of the security changes generated. 360-FAARen and SuperFAAR are enterprise editions of the open-source 360-FAAR. These editions include complex rule base and log file processing that maintains policy structure, handle Accept, Drop and Encrypt rules and carefully manage policy readability, comments and sectioning. 360-FAARen provides enterprise-grade complex rule base analysis capabilities in a portable format to use where you need it. SuperFAAR augments these capabilities with database storage, security API, and multi-client access.